By harrisonca on September 28th, 2009 . Filed under: Birthday Ideas, Cupcake Ideas . 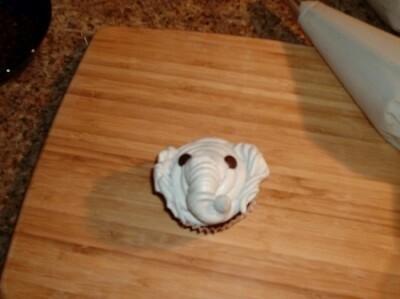 Patty, AKA Vampire Gran, designed a beautiful elephant cupcake that does not take many resources to pull off. Needed materials are a couple pastry bags, two decorating tips #804 and #124, and chocolate chips for eyes. Full step by step photos and instructions were immensely helpful. After looking at all of different cupcakes, my favorite is the 3 mini cupcakes…OMG they are just adorable!!! My kitchen is done in pink and brown with cupcakes being the theme, so I love everything cupcakes and even decorates some awesome cupcakes myself being a cake decorator and sugar artist! 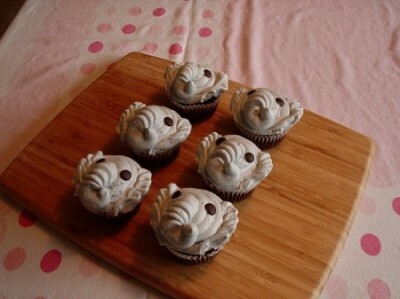 I went and made these cupcakes last night, they are just so adorable, I made them pink though…and they were sooo good! As much as I love purple, I have to go with the mini vanilla cupcake. That huge berry on top looks too yummy to resist. And of course there is nothing better than vanilla cupcakes!